Last week on Once Upon A Time, Hades and Zelena (Greg Germann and Rebecca Mader) made promises to stay together and live in the real Storybrooke, while the rest of the heroes stay stuck. Regina (Lana Parilla) turned to Cora (Barbara Hershey) for help. Cora made the girls remember that they once knew and cared for one another, and was then able to move on. Zelena went to go talk to Hades, but got intercepted and kidnapped by Gold and Peter Pan (Robert Carlyle and Robbie Kay). Last week on Once Upon A Time, it was all about our “brave” heroine Merida (Amy Manson) in both 6 weeks ago Camelot and present-day Storybrooke. In Camelot, Merida is freed when they free Lancelot (Sinqua Walls). Belle (Emilie de Ravin) helps her prove to her clansmen that she is queen material, and she saves her brothers. In Storybrooke, Merida is successful in making Rumple (Robert Carlyle) brave by using Belle. He pulls the sword from the stone. Emma (Jennifer Morrison) tries to make a deal with Zelena (Rebecca Mader) who rejects her. The Storybrooke citizens find out (again since they knew before the amnesia) that Arthur (Liam Garrigan) is evil. They also get a message from Merlin (Elliot Knight). 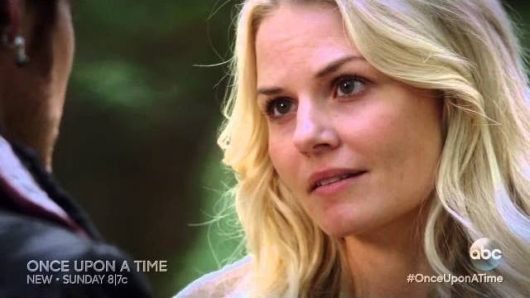 Last week on Once Upon A Time, we delved back into Emma’s (Jennifer Morrison) childhood again to revisit her and Lily’s troubled connection. 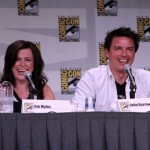 it seems Lily (The Returned‘s Agnes Bruckner) makes all the wrong life decisions and is very dark, only lightening up when she’s around Emma. 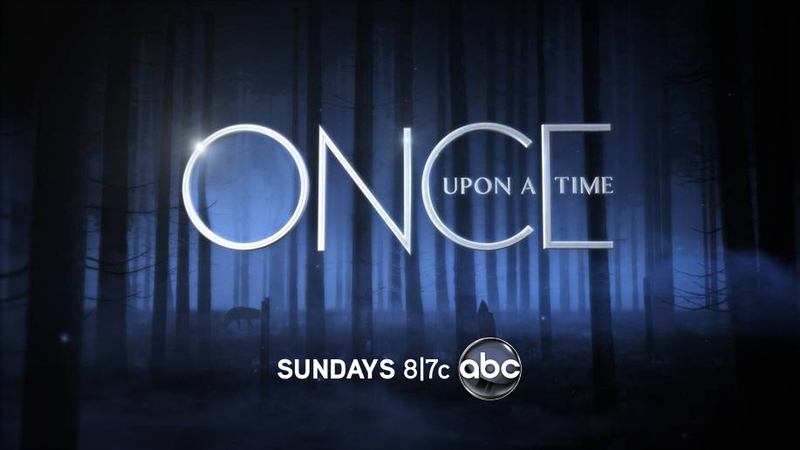 In the present, Emma and Regina (Lana Parilla) team up to find Lily and save Robin (Sean Maguire) from Zelena (Rebecca Mader). They are successful on both counts. Well… I guess it depends on how you define success. Zelena is pregnant with Robin’s baby. That is the twist that twisted their hearts – and ours. Snow (Ginnifer Goodwin) and Charming (Josh Dallas) try to appeal to Maleficent (Kristin Bauer van Straten) – to no avail. 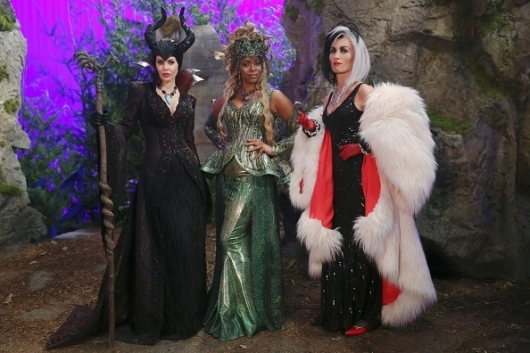 Last week on Once Upon A Time, we were transported to Hook (Colin O’Donoghue) and Ursula’s (Merrin Dungey) past, and found that there was not a relationship between them as we, the audience, first thought. Hook had stolen her voice, but made a deal. 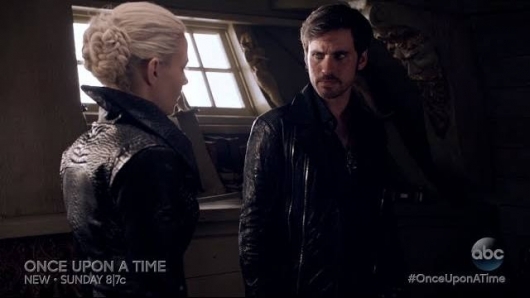 He would finally gave her back her voice, if she let him know what they had in store for his Emma. Both fulfilled their end and she left, swimming off towards the horizon with her formerly estranged dad. Gold (Robert Carlyle) and the girls aged August (Eion Bailey) and then tortured him. 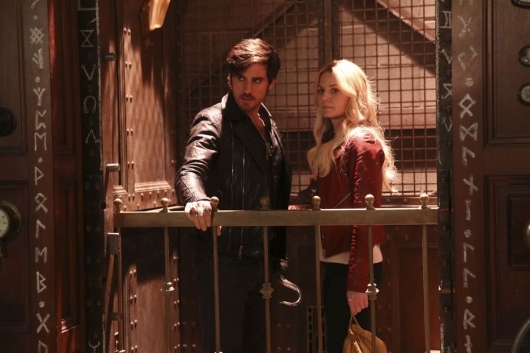 Emma (Jennifer Morrison) was glad to see her old friend again. We were, too. The end is near! 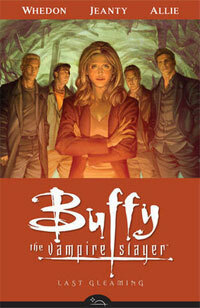 In Buffy the Vampire Slayer Season Eight Vol. 8: Last Gleaming, Buffy, her army of vampire slayers, and the original Scooby gang face the biggest challenge of their lives. With an onslaught of demons coming to destroy the world, Buffy and her team must defeat the demonic threat while also facing the biggest betrayal in Buffy’s history as a vampire slayer. 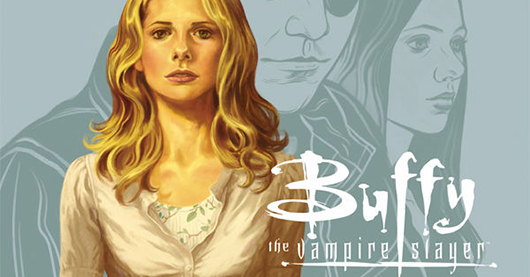 I’ve been a fan of Buffy the Vampire Slayer throughout its entire 7-season television run. 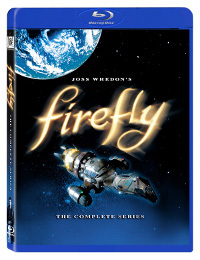 When creator Joss Whedon decided to continue the series in the comic book medium, I was really excited. I read most of the season 8 run, but felt that it was stretched out a bit too long. When Whedon said that Season 8 was ending with Issue #40, I wanted to see how it was going to end. I’m glad that I caught up with Season 8, because this volume is a nice wrap up that leaves a huge plot to be fleshed out in the upcoming Season 9 series.